Nostalgia hit with a "Power Rangers" movie came to theaters and fans cheered "Go, Go Power Rangers"
For "Mighty Morphin Power Ranger" fans this movie may have been a bit of a change, but Saban's "Power Rangers" continue to bring new generations into the Power Ranger universe in similar style. With Saban's "Power Rangers" coming to digital HD on June 13 and 4K Ultra HD, Blu-ray, DVD and On Demand June 27, Thisfunktional will have the opportunity for 5 lucky readers to win their copy of the movie. Disclaimer: 3 winner will be chosen. Contest runs to June 20, 2017. Winners will be notified on June 20, 2017 with instructions on how to claim your prize. No purchase necessary. Prize provided by MPRM Communications. Only open to the U.S., no PO Boxes or international addresses. The action-packed, coming of age feature film Saban’s "Power Rangers" will morph onto Digital HD June 13 and on 4K Ultra HD Combo Pack (plus Blu-ray and Digital HD), Blu-ray Combo Pack (plus DVD and Digital HD), DVD and On Demand June 27 from Lionsgate. 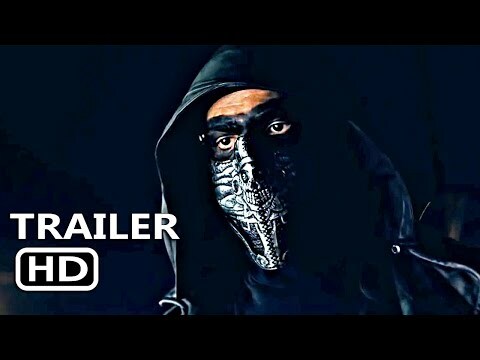 As part of the 24-year-old global phenomenon and based on the five Rangers from the original TV series, “Mighty Morphin Power Rangers,” the reimagined movie features a modern generation of Rangers including Dacre Montgomery (TV’s “Stranger Things”) as Jason the Red Ranger, Naomi Scott (The 33) as Kimberly the Pink Ranger, RJ Cyler (Me and Earl and the Dying Girl) as Billy the Blue Ranger, Ludi Lin (Monster Hunt) as Zack the Black Ranger, and Becky G. (Neighbors 2: Sorority Rising) as Trini the Yellow Ranger, as they attempt to stop the evil and unpredictable Rita Repulsa (played by Elizabeth Banks, The Hunger Games Franchise) from destroying their city…and ultimately the world. Bryan Cranston (“Breaking Bad”) as Zordon, and Bill Hader (Finding Dory) as Alpha 5 train the Rangers to morph and master their powers as a united team. The epic adventure, Saban’s "Power Rangers" follows five ordinary high school kids who must become something extraordinary when they learn that their small town of Angel Grove – and the world – is on the verge of being obliterated by an alien threat. Chosen by destiny, the unlikely group of teenage heroes are the only ones who can save the planet but first, they have to band together in order to harness their super powers and become PowerRangers. The Saban’s "Power Rangers" 4K Ultra HD, Blu-ray and Digital HD releases feature never-before-heard audio commentary with director Dean Israelite and writer John Gatins, as well as a nine-part documentary featuring commentary from the actors and filmmakers including Power Rangers Creator, Haim Saban which looks behind the scenes of the film at the casting, training, special effects, and creation of Saban’s "Power Rangers," with deleted/alternate/extended scenes and outtakes. The 4K Ultra HD Blu-ray will also feature Dolby Vision™ high-dynamic range (HDR), making it the first title from Lionsgate to feature both Dolby Vision and Dolby Atmos®. The Saban’s "Power Rangers" DVD will include exclusive audio commentary with director Dean Israelite and writer John Gatins, and deleted/alternate/extended scenes and outtakes. 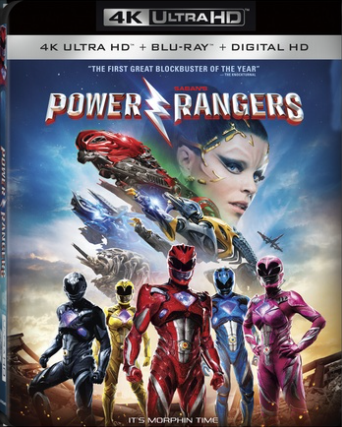 Saban’s "Power Rangers" will be available on 4K Ultra HD Combo Pack, Blu-ray Combo Pack, and DVD for the suggested retail price of $42.99, $39.99, and $29.95, respectively. Story by Matt Sazama & Burk Sharpless and Michele Mulroney & Kieran Mulroney. Screenplay by John Gatins.Directed by Dean Israelite.